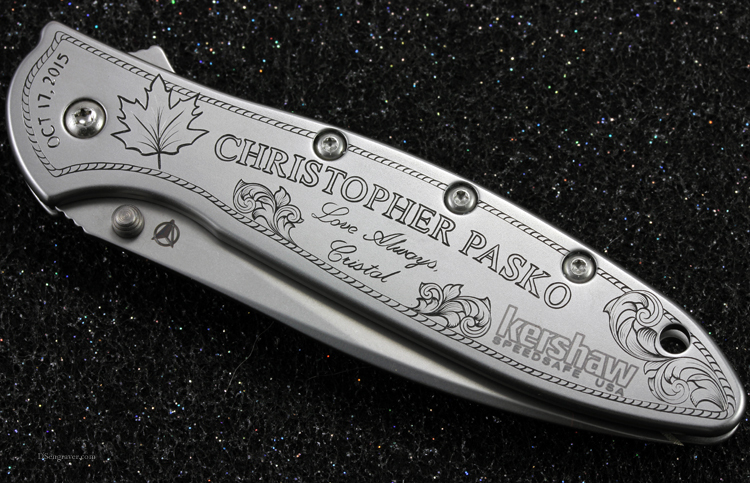 I have hand engraved many knives for groomsman gifts but this is the first time a bride has commissioned me to engrave a wedding gift for her new husband! 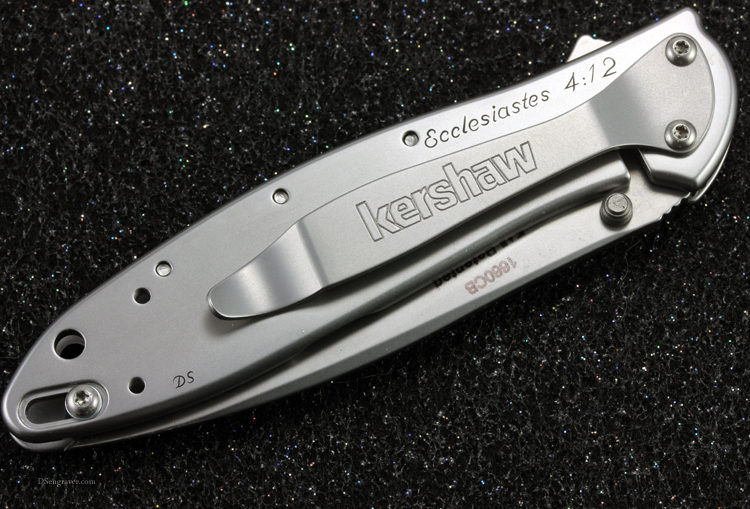 She picked out a quality Kershaw folding pocket knife. 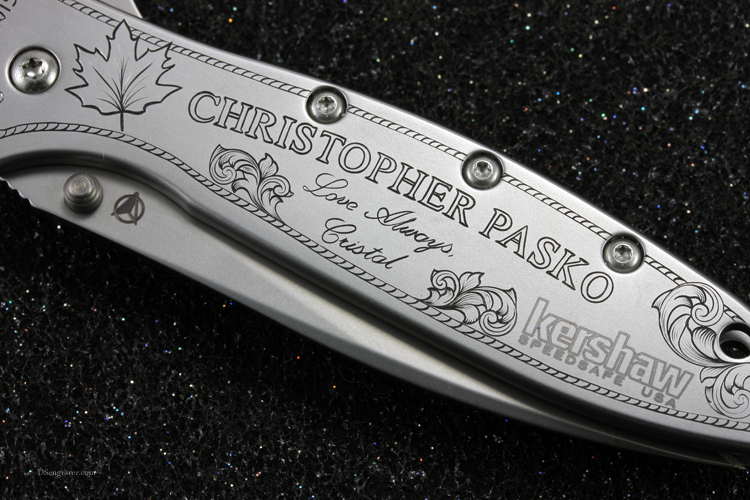 She asked to have his name, the wedding date, a special scripture on the back and something depicting the fall season. I think any husband would be proud to carry this kind of a special gift from his bride.